Rich foam decontamination and cleaning soap replaces regular bathroom soaps by cleaning off dirt, grime, germs and heavy metals, leaving skin hydrated and refreshed. 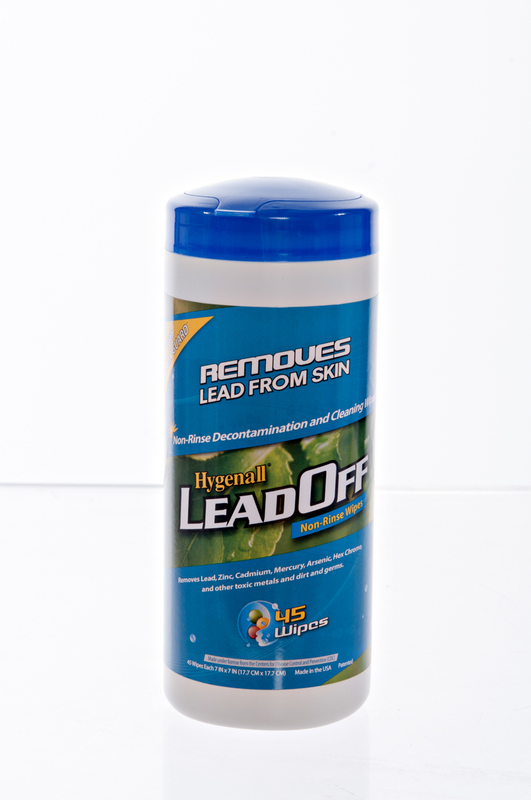 Does not contain EDTA, Phosphates, Betains or other harmful chemicals. 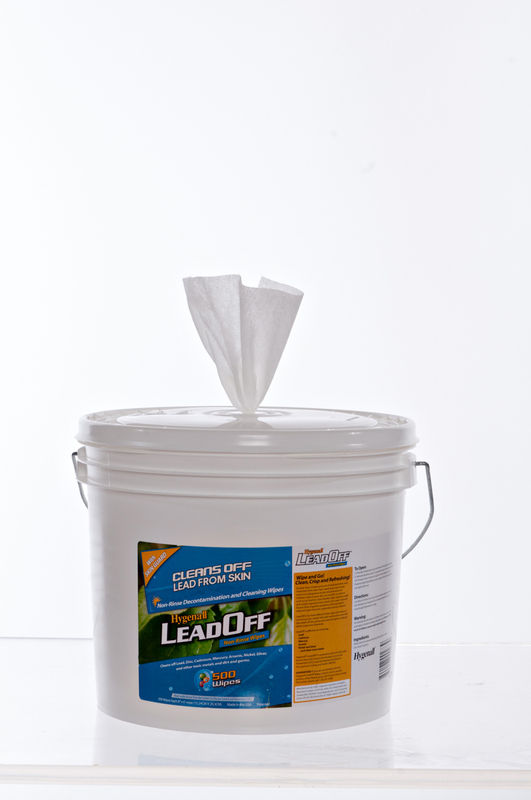 Perfect for all wastewater systems. Rinsing after use is required. 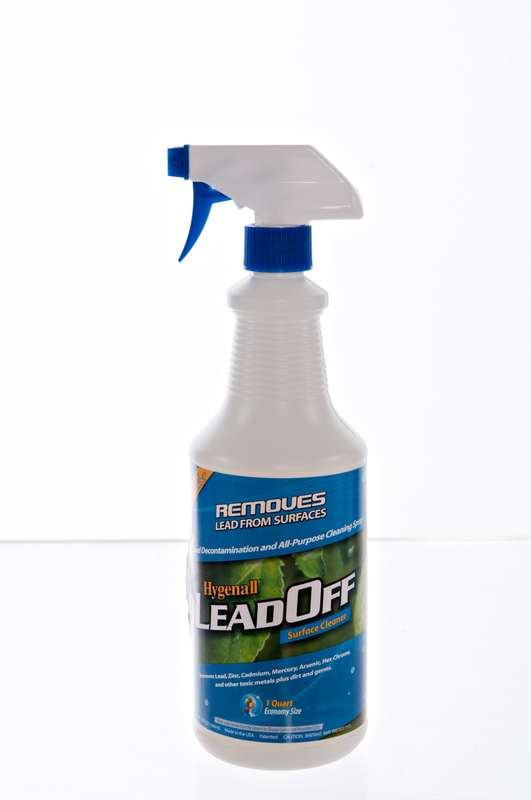 Cleans off Dirt, Germs, plus Lead, Cadmium, Zinc, Mercury, Arsenic, Nickel, Copper, and most other metals. 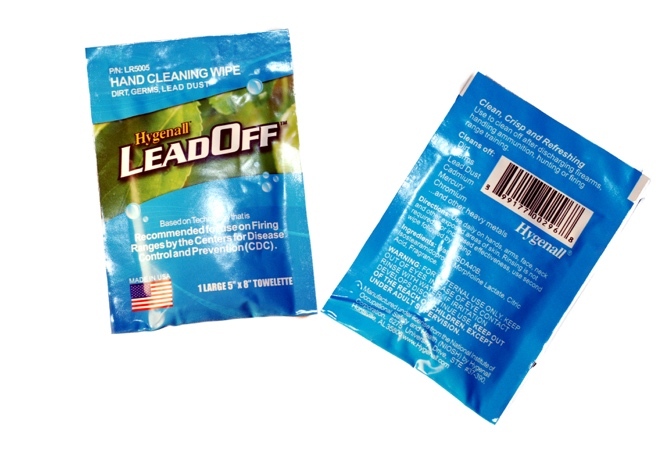 Hygenall® LeadOff™ Rich Foaming Hand, Hair & Body Cleaning and Decontamination Foaming Soap. Highly Economical: each gallon provides over 1,000 hand washes, or about 4x more than a gallon of regular liquid soap. 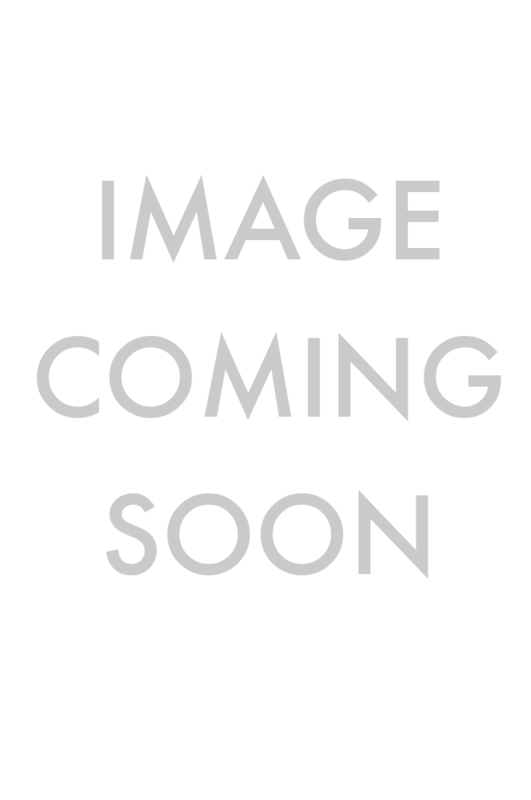 Description: 1 Gallon Bottle with Pump. Description: 18.5 Ounce Bottle. Highly Economical: each bottle provides hundreds of hand washings, or about 4x more than regular soap in the same quantity. 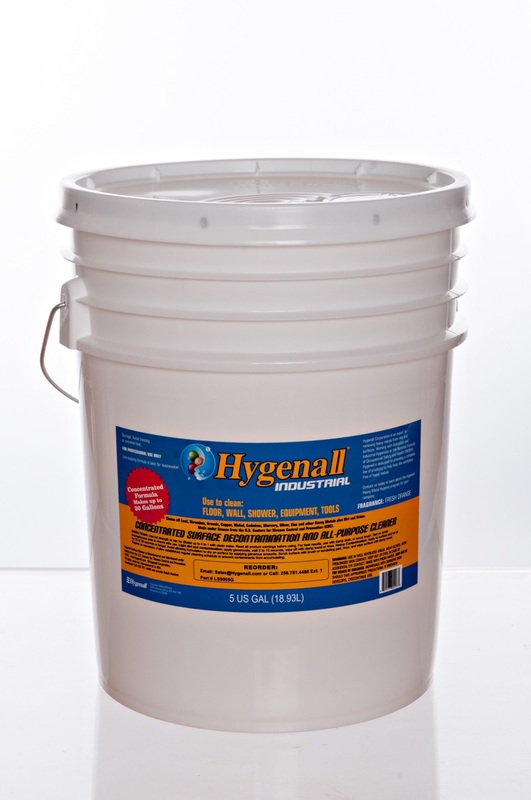 Highly effective, safe and natural volcanic pumice combined with Hygenall soap formula safely removes dirt, grime, heavy grease, and heavy metals. 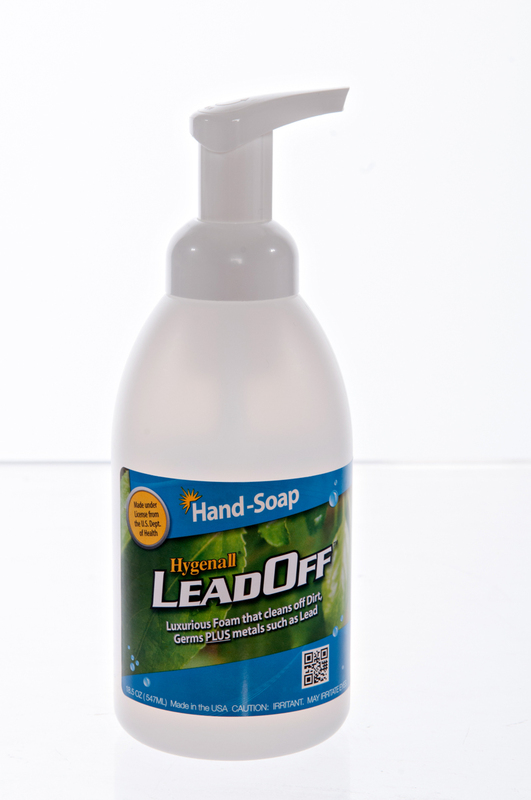 Made from natural environmentally safe ingredients. 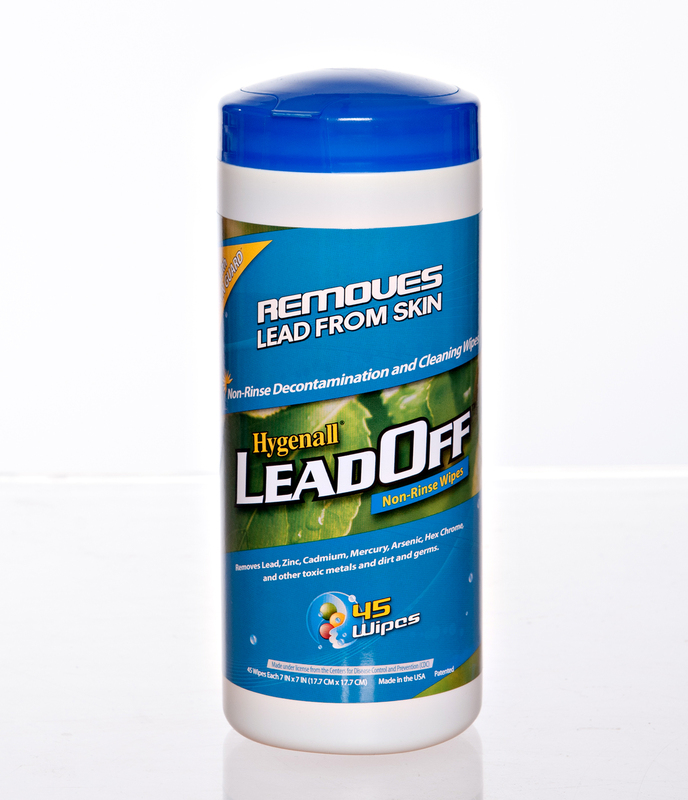 Convenient cleaning and decontamination wipes that removes dirt and germs + heavy metals such as lead, Cadmium, Arsenic, Mercury, Zinc, Nickel and other metals and oxides from skin. Made from natural environmentally friendly ingredients and cloth. Non-smear formula leaves skin feeling Clean, Crisp and Refreshing!™. 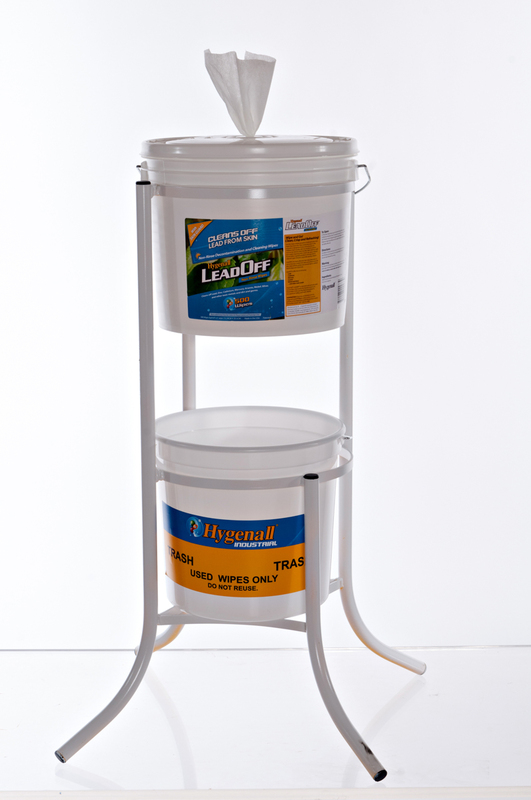 REFILLABLE 500 Wipe Bucket, Used Wipe Bucket, Stand. 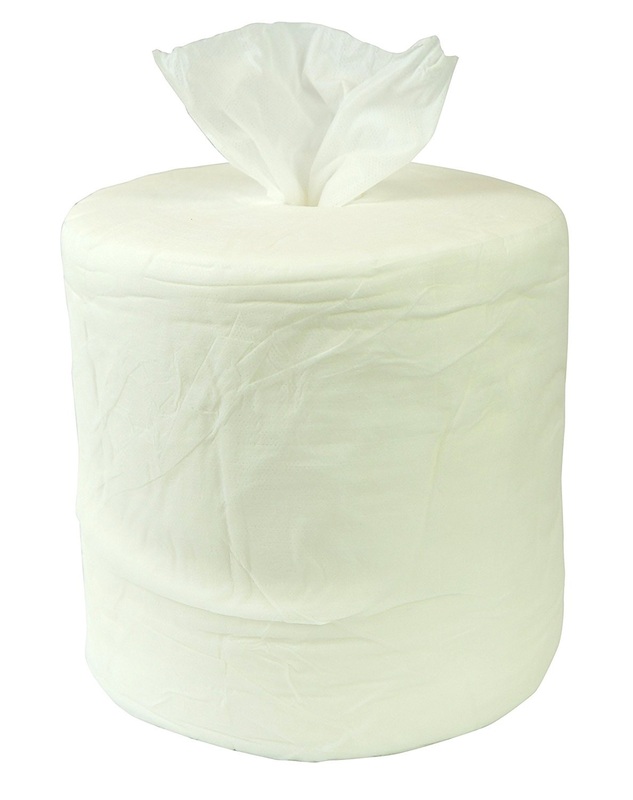 2 – 500 Wipe Refill Rolls per Case. 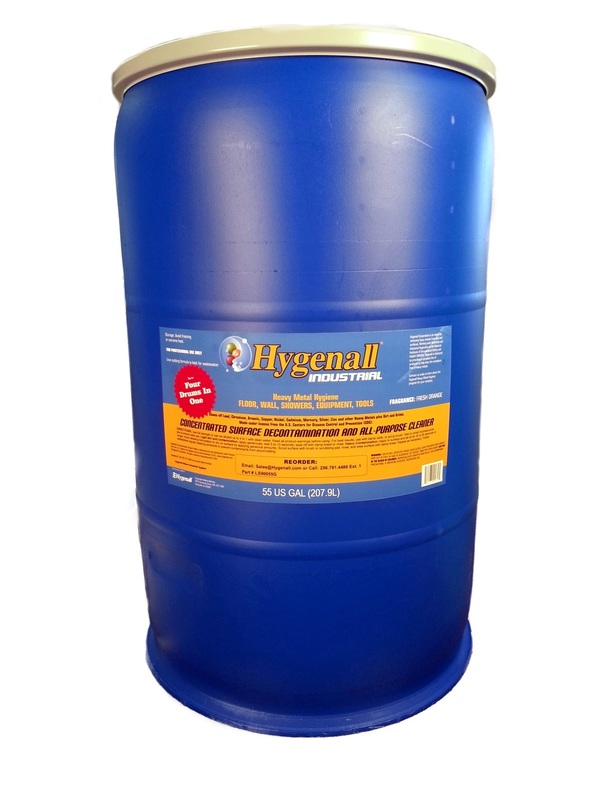 Refills all Hygenall 500 wipe dispensers. Decontaminates surfaces that workers chronically touch including tables, lockers, bathrooms, countertops, storage shelves, respirators, and tools. 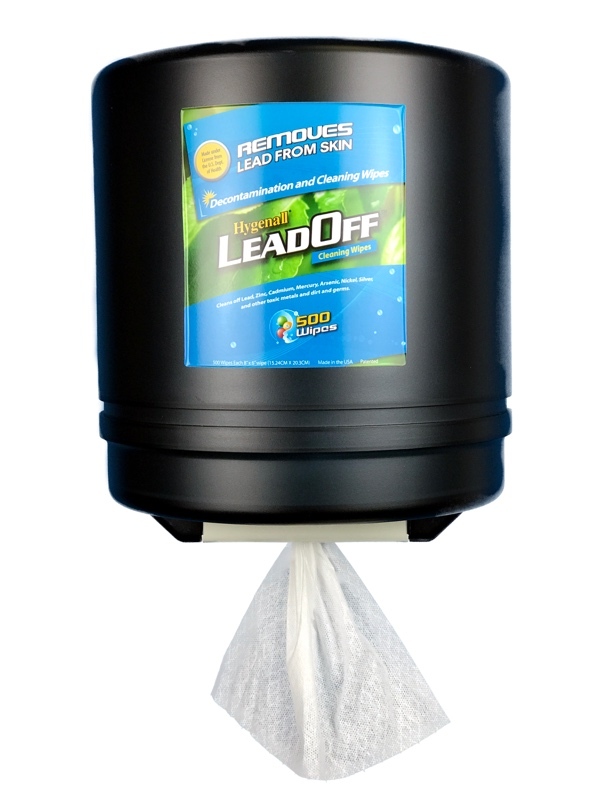 Contains environmentally safe ingredients that are low-sudsing and phosphate free. Apply by hand, brush or high-pressure. 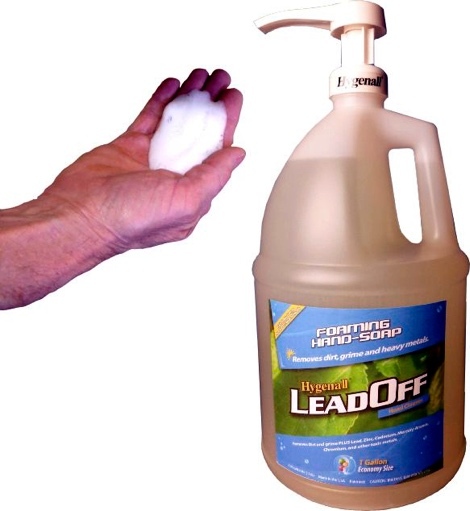 Cleans off dirt, germs, grime and heavy metals including lead, cadmium, mercury arsenic, zinc and others, including oxides.